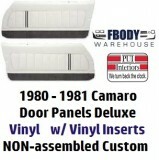 Your 1978 1979 1980 1981 Camaro door panels are no problem with Fbodywarehouse! 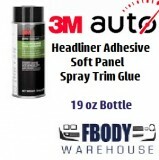 We have all of the items needed to restore or replace everything to NEW! 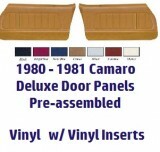 From preassembled door panels, to the door pulls and all the trim on the door we have it all! 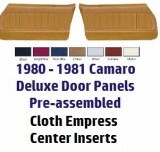 Don’t forget our industry best door panel mounting hardware kits! 1978 - 1981Camaro Trans Am Power WIndow Wiring Block Off Plate GM unit!